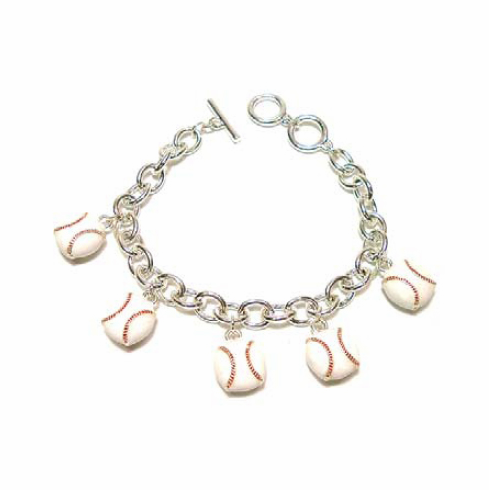 This inexpensive red and white baseball charm toggle bracelet is great for female fans young and old. Measures appx. 7.5" to 8". Bracelet includes 5 double-sided baseball charms.